That lack of running was to prove crucial to the weekend’s events. 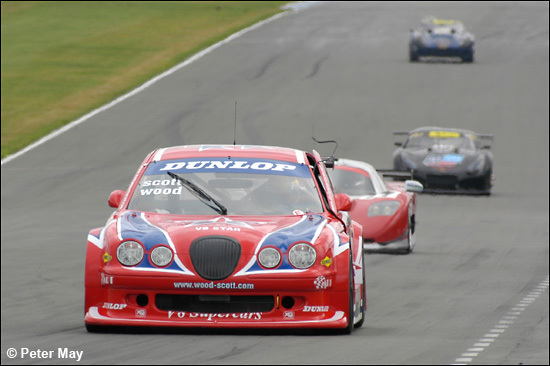 Having qualified third on the grid for the first of the two 25-minute, this became second as the prior Britcar qualifying session had tied-up Phil Bennett’s Opel V8 Star. 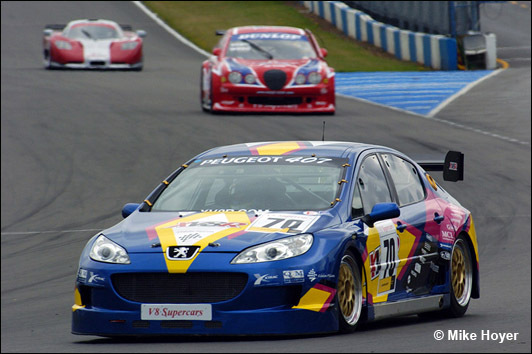 So, with only Kelvin Burt’s debuting Peugeot XRV8 in front of him, and the British GT Rollcentre Mosler of Kevin Riley the greatest threat from behind, Steve set out on a reportedly oily track. Running second to the Peugeot in the early part of the race, Steve held off the charging Mosler, but eventually had to give best at the chicane on lap eight. “I was struggling,” said Steve, “the tyres went off so quickly. We tested on Thursday on old rubber, and today we’ve put new tyres on, but we’ve had so little real running, and no real chance to get the right set-up.” With a fairly large comfort-zone back to Andy Holden’s TVR Tuscan in fourth, Steve settled to ride the race out in third, and another podium finish - a clean sweep in the series, after a second and third at Snetterton – for Steve, Stuart, and the BS Motorsport team. 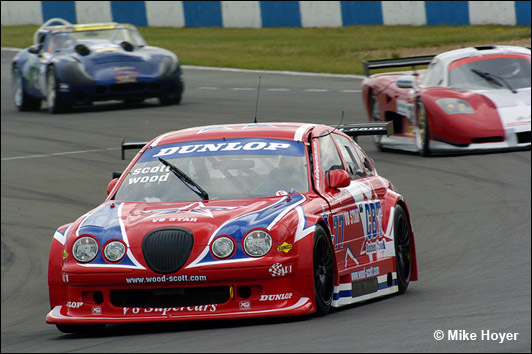 The second 25-minute race saw Steve line up third, and maintain that position behind Burt and Riley, but the ever-more oily track exacerbated the inherent handling problems on the Jaguar, Steve’s slides at Redgate getting ever-more lairy, eventually resulting in a spin, “the first one I’ve had for a long time,” he confessed. Having lost some places, he had to contend with Phil Bennett, charging through from the very back, and on his way to an eventual win. “Phil came down the inside at Coppice, after I’d already turned in. 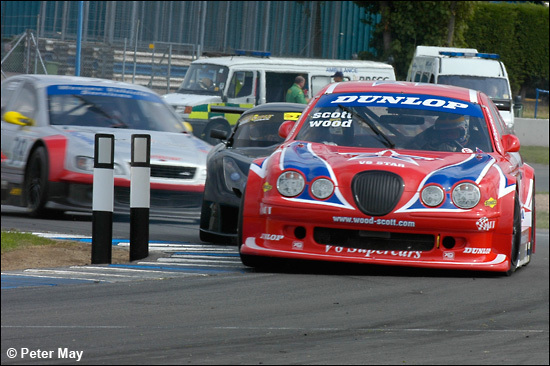 I t was a typical touring car lunge, but he caught my front wheel, and bent the steering. The car was never the same after that, and I was really struggling. Sadly, the Jaguar was classified as a non-finisher, though Steve had completed 20 of the 21 laps, and been in seventh place when the problems occurred. “The car was so loose in the second race. There is so much more to come from this car, but we never get the testing opportunities to develop it,” summarised Steve. “It’s so long to the next race, in November, so we’ve booked a track day on the Silverstone GP circuit next month to get some track time in between,” added Stuart Scott.